In the music video for Brad Paisley’s latest single, “Crushin’ It,” several of country’s biggest hitmakers are reimagined as superheroes brought together to save the day. Paisley not only co-wrote, co-produced and recorded the catchy summer tune, but he also completely animated the video himself on his very own laptop computer. Paisley says the video-making process even led to some unexpected family time with his two sons, Huck and Jasper. Paisley admits it took some work to get his fellow artists’ features just right during the animation. 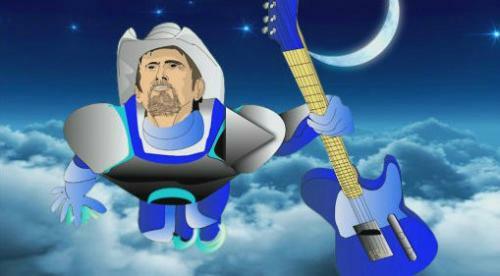 Paisley admits there were a few benefits to animating the video alone, especially when he was transforming himself into a superhero. “Everybody said, ‘You’re really buff in this.’ And I said, ‘Of course I am. It’s my damn cartoon,’” he joked.